• From a closed distillery at Brora, on the coast. • Tenth of a limited series of annual releases. • Annual allocation has extended availability of this irreplaceable malt; stocks now depleted. 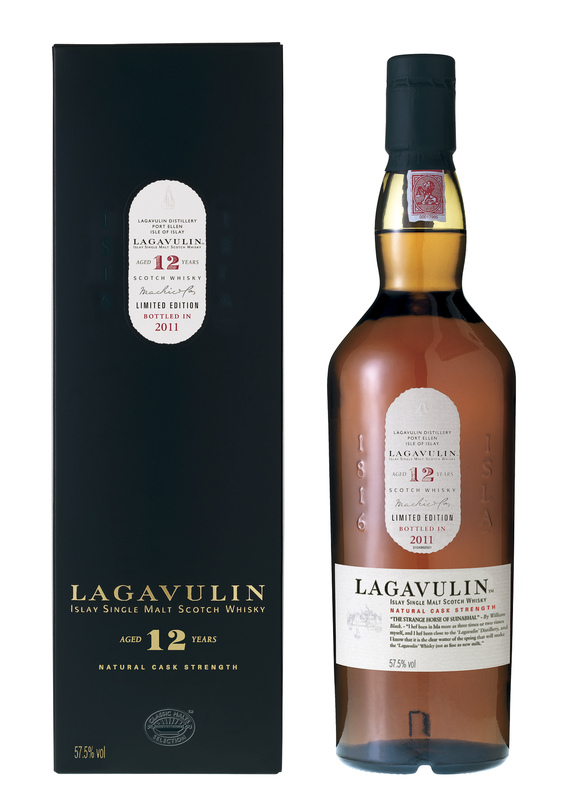 • From whiskies at least 32 years old, aged in refill American Oak & refill European Oak casks. • Only 1,500 individually numbered bottles worldwide (less than half recent releases). • From specialist retailers only. • UK RRSP £300 per bottle. Appearance: Antique gold. Bright, with good beading. Nose: Modest but complex. Mild nose-feel, yet with a white pepper prickle. Immediate, sharp freshness, rising over sweet malt with fragrant wood smoke curling in the background. Gradually more fruity (baked apples with red-currant jelly, lemon and lime zests) then waxy (warm candlewax) with a trace of hessian, faint spearmint and creamy vanilla. Late, cleansing notes. Water freshens and sweetens things, liberating fresh menthol and floral notes underscored by soft, lemony biscuit, or Madeira cake. Body: Dense. Oily and smooth. Medium. Palate: At natural strength, fizzy and spicy. Subdued at first; sweet to start, with subtle smoke followed by sweet, charred notes (burnt fruit cake) then distinctly salty and drying. Smoother to drink with water: lightly sweet, then still salty and drying, with less spice, and now the burnt fruit-cake has become a soft, chewy, iced Danish pastry. Summary: Magnificent, and excellent at cask strength: the coastal, smoky, savoury Brora character is here sweetly softened in a malt that’s courteous yet informal; it has the depth and complexity of age yet also a spicy, lively twinkle, like a favourite uncle. 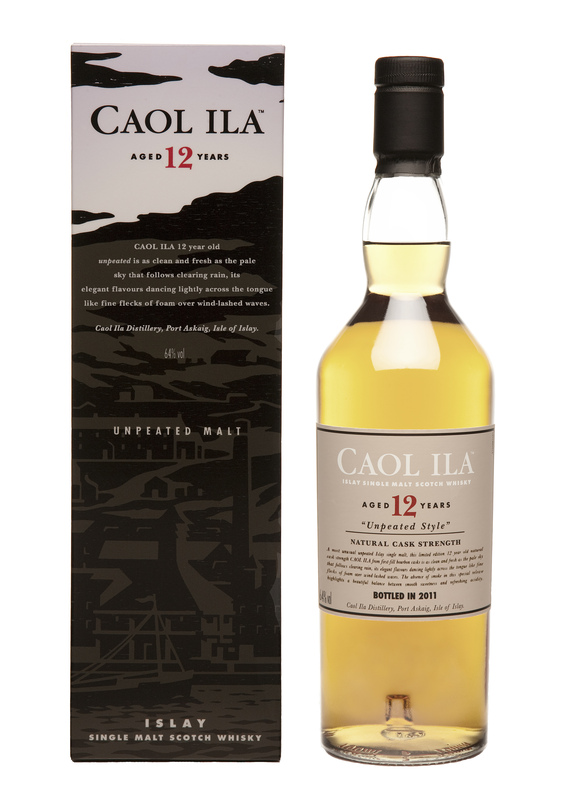 • A sixth limited release of unpeated Caol Ila, the second at twelve years old. • From a batch made once a year, from unpeated malt, for blending in the “Highland Style”. • From 1st fill ex-bourbon American Oak casks filled in 1999. • Fewer than 6,000 bottles worldwide. • UK RRSP £55 per bottle. Finish: Creamy and oaky; sweet milk chocolate, then burnt fruit. Hugely elegant with water and astonishingly clean. Summary: Deceptively complex, at first hiding all that characteristic Caol Ila freshness and vigour under a smooth exterior. Masses of oaky, cocoa character and fruit tartness soon show that peat smoke isn’t everything! • From Glenury Royal, a closed distillery near Stonehaven in the Eastern Highlands. • The second oldest release from the original distillers. • Interesting to compare with the 2007 Special Release Glenury Royal 36 year old, also 1970. • A very limited release of individually numbered bottles. • From American Oak refill casks filled in 1970. • Only 1,404 bottles worldwide. • UK RRSP £525 per bottle. Nose: Tentative at first. Mild nose-feel; soft and rounded. Soon deepening into a rich, dark cherry-scented chocolate torte; followed by mouth-watering fruit pastilles, soft apples, pear skins and tart red berries. Later, buttery vanilla fudge or a rich, soft ginger cake. A dash of water introduces more complex fruit notes; peach cream chocolates, fresh figs and cherries, developing into light orange oil with just a faint suggestion of smoke. Palate: Enjoyable even at natural strength, when an attractively oily, thick texture leads to cool, dry sandalwood, then to a sweet/bitter contrast; sugar crystals in spent coffee grounds or a slightly burnt fruit scone. A dash of water increases the sweetness; those peach-cream chocolates are back, and the overall effect is cooling and softly bitter, with fresh tarragon, grapefruit pith. Finish: Long, with a pronounced dry oakiness followed by fresher cedary notes and a truly delicious cocoa powder conclusion. Later delicately savoury with some chocolate after-dinner mint. With water, long, silky and fragrant with late, drying, bitter chocolate torte. Light fragrant ash in the aftertaste (as with Assam tea). Summary: A sumptuous old-style after-dinner malt, proudly displaying its forty years without a trace of fatigue. Another regal old Glenury Royal that’s easy to drink even at this high strength; oily, rich textured sweetness with a bitter edge and a long, elegantly drying and spicy finish. • From Knockando, an active distillery on Speyside. • A first limited release in this series. • From first fill ex-sherry European Oak casks. • A most unusual, richly flavoured expression. • Fewer than 4,500 individually numbered bottles worldwide. Nose: Deeply intriguing; rich and immediate, with no prickle. Dry Christmas cake, with slightly burnt edges, then a hard toffee note. Dry Oloroso sherry. Persistent, becoming more succulent; dried fruits macerated in liquor. Bitter-tinged traces of crystalline sugar, creamy wood oil. Fresh strawberries, and raisins! Water introduces more burnt notes, with chocolate, underscored by porcini and sage. Finally sweeter, with juicy-fruit gum. Finish: Long and warming. Espresso coffee, with a distant hint of struck matches. Glorious late, winey notes accompany drying tannins. Soft caramel, cleansing tart red fruit. Water removes the struck matches and stirs dark chocolate in the aftertaste. 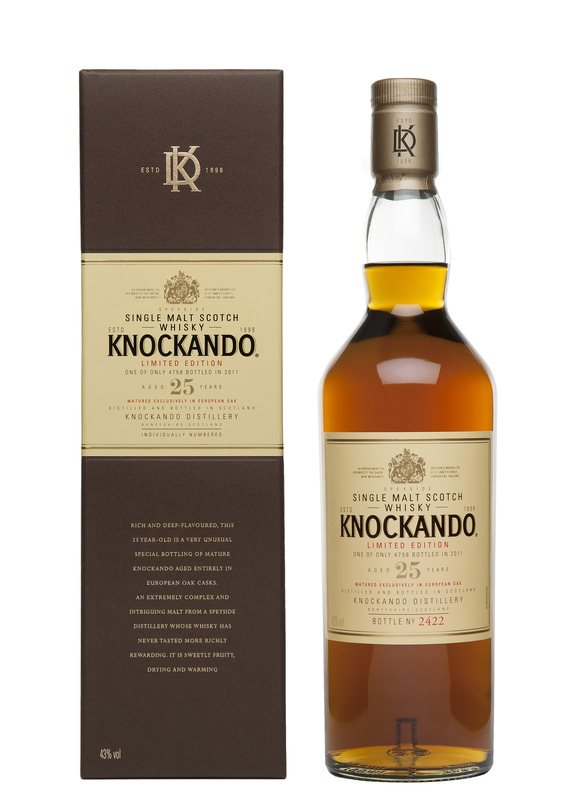 Summary: A very unusual, rich and deep-flavoured expression of Knockando that is extremely complex and intriguing. 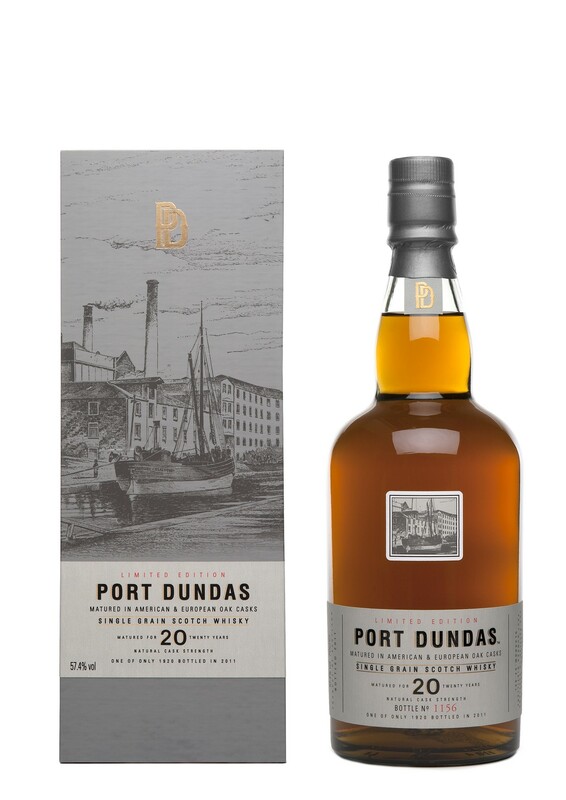 Superbly balanced: drying yet with residual malty sweetness: a broad array of magnificent ex-sherry cask notes make an opulent apéritif, appetising with hard, sharp cheeses. • A limited edition, natural cask strength Single Malt Scotch Whisky. • From the essential Islay distillery, Lagavulin, on Islay’s rocky south coast. • Tenth of a series of special 12 year old releases from the original distiller’s stocks. • Vatted from refill American Oak casks, each at least 12 years old. • Available in limited quantities worldwide. Appearance: Pale gold. Good beading, with oily legs. Nose: Glorious. Mild nose-feel. Starts oddly rounded and well-mannered. Soon grows increasingly complex. A waft of linseed oil, then newsprint splashed with vinegar, and fragrant, sweet wood smoke, with carbolic notes rising, then falling. Struck matches. Later, beeswax polish meets rich fruit mincemeat and coal tar, as chocolate and cumin tease. With water: more of the same, but greater clarity, a fabulous subtle interplay of tastes, and a little more smoke. Palate: Pleasing texture, lightly oily. At natural strength, the taste starts sweet, and is then dominated by wood-smoke. Charred newspaper and aniseed balls. Red berry notes. More powerful, with a dusting of pine shavings, then cooling, carbolic and herbal. With water the texture is smoother still; the taste long and slightly sweeter, with some fresh acidity; still herbal, with notes of aniseed and wood; so savoury, great to enjoy with juicy meats (sausage, kebab). Finish: Warming. Char-grilled fennel with lashings of peppery olive oil; powerfully bitter-sweet. Lengthened by adding water: drying and warming, with elegant savoury notes again and a late whiff of lingering, fragrant smoke. Summary: Extremely well-constructed and highly complex: full of wood smoke, peppery and spicy, this 12 year old shares much with its immediate predecessors – not least the capacity to instantly defibrillate the taste buds: the texture and taste, both straight and dilute, are splendid. From Port Dundas, a historic, now closed grain distillery in Glasgow. Very rare as a single grain bottling at any age. A first ever 100% grain release in this series. The first ever official bottling at this age. Liquid from three different casks – distilled in 1990, aged three years in refill, then in equal parts aged for 17 more years in either new American Oak Bodega, new European Oak Charred or first fill ex-Bourbon American Oak.• Incredibly rare and unrepeatable; very collectable. Just 1,920 individually numbered bottles worldwide. From specialist retailers only. Appearance: Deep polished chestnut. Fine beading. Nose: Mild, drying nose-feel. Vinous, with traces of cherry (kirsch-filled dark chocolates), well-worn leather and pencil shavings. Opens slowly, revealing woody, spicy aromas (black tea, molasses, dates and linseed oil) then delicate sweet notes of ripe banana, chocolate and vanilla cream. Finally turns fresh, resinous, herbal. Beautifully coherent with water, which lifts the wood-notes (fresh-cut sappy pine), until it becomes the inside of an old school desk (and all its contents) fusing with vanilla ice cream. Palate: Initially languorous; varnish, linseed oil. A smooth, rich texture and a sweet taste, growing into a compelling, layered, waxy, nuttiness (brazils, walnuts). Poppy-seed? Silky smooth with water and altogether more rounded; the texture smooth, the taste sweet. The wood cuts through; sandalwood (pencil box), white pepper and hints of vanilla. Finish: Glorious, lingering and complex. Simultaneously drying yet coating, with notes of liquorice, aniseed and burnt sugar and oak-wood in the aftertaste. With water: beautifully smooth, long and rounded, with velvety tannins. Summary: Rich, dense and seemingly impenetrable: an unusual and hugely challenging whisky whose very elegant complexities are only fully revealed by adding water. Like a fine, aged rum dancing with an elegant, oily Riesling. • Now very rare, highly sought after. • Eleventh of a limited series of annual releases. • Annual allocation ensures availability of this irreplaceable malt for only a little longer. • From refill American Oak casks filled in 1978. • Just 2,988 individually numbered bottles available world-wide. 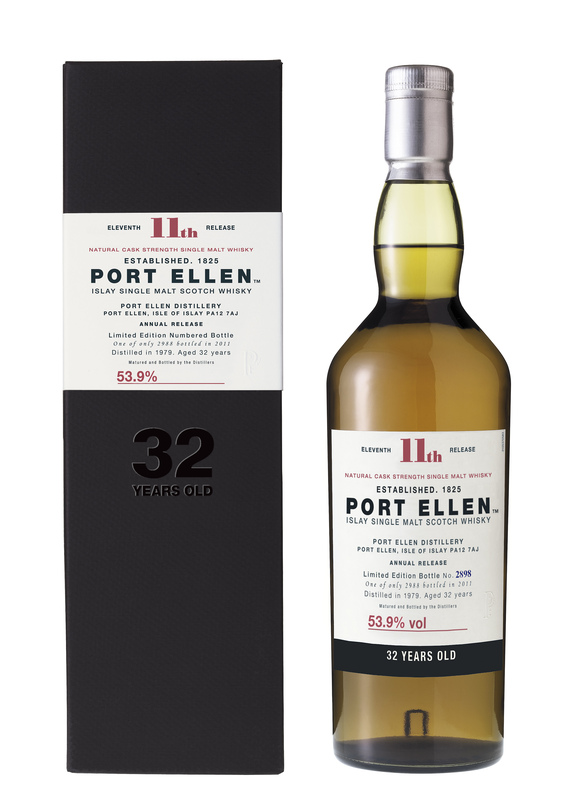 • The oldest release and first Port Ellen 32 year old to come from the distillers. Earlier and far larger releases in this series now change hands among collectors for £300 and more, having appreciated by 150%. Finish: Long, warming, smooth and sweetish (Pecan nuts) then lightly astringent, before billows of ‘welcome home’ coal-smoke and late charred notes. Water softens the smoke and introduces elegant, late tannins and tartness. Summary: An excellent example of the make that will be loved: extremely fresh, light and delicate yet immutably Port Ellen. Long maturation has brought charm, good manners, assured self-confidence and understated elegance, without losing any of the underlying personality. 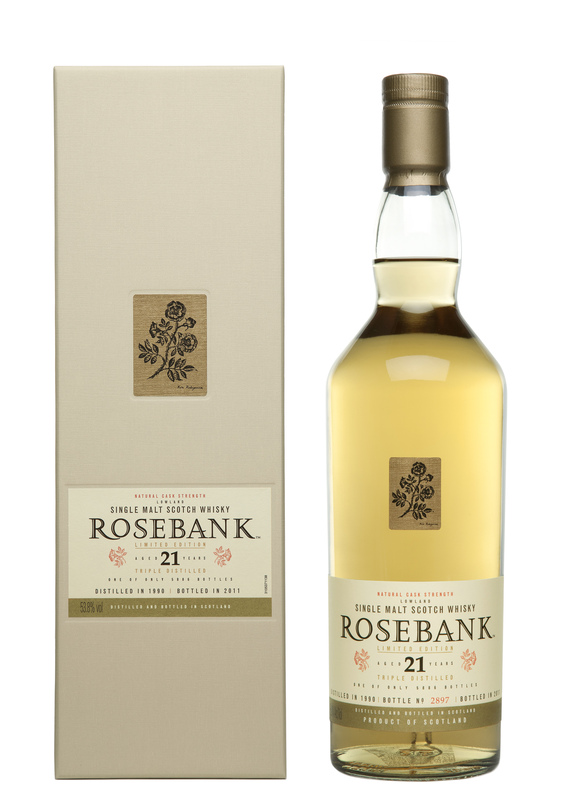 • Distilled in 1990 at the now-closed Lowland distillery, Rosebank. • From some of the oldest stocks now held by the original distillers. • From refill American Oak and refill European Oak casks. • Only 5,886 numbered bottles worldwide. • UK RRSP £160 per bottle. • Appearance: Pale gold. Moderate beading, very clear. Nose: Mild nose-feel. The soft start is soon balanced by a crisp, juicy fruit sharpness (tropical fruits, orange and tangerine peel) and sweetness (fruit sweets). Below this the sweet fruit gives way to a more delicate earthy, even floral character: lily and English rose. Water makes the aromas softer; sweet lemon fondant replaces the earthiness. Late green apple fruit and floral notes; ripe peaches in a brown paper bag. Palate: At natural strength, tingling mouth-feel and good acidity; fresh, clean and drying. Mineral and tart (ripe plum skins) with faint menthol, then pleasingly charred with light pepper. Beautifully silky with a little water, when a very soft floral sweetness emerges (fruit salad and orange water) before the lemony acidity asserts itself. Finish: Short and drying, with just an appetising hint of bitterness. Later, some red grape fruit. Softer, more gentle and rounded with water. Finally, a little late cocoa dryness. Summary: A charming whisky whose attractive citric and aromatic notes suggest a feminine elegance, and whose subtleties are best revealed with water. Fresh and clean: excellent shared as an apéritif. The CLASSIC MALTS SELECTION, BRORA, CAOL ILA, GLENURY ROYAL, KNOCKANDO, LAGAVULIN, PORT DUNDAS, PORT ELLEN and ROSEBANK words and associated symbols are copyright © Diageo 2011.